Car Charm or Window Decor! This turquoise crystal suncatcher is perfect for the rearview mirror or a window! The crystal decoration is a unique design which is handcrafted by me with quality beads, made with care and attention to detail. 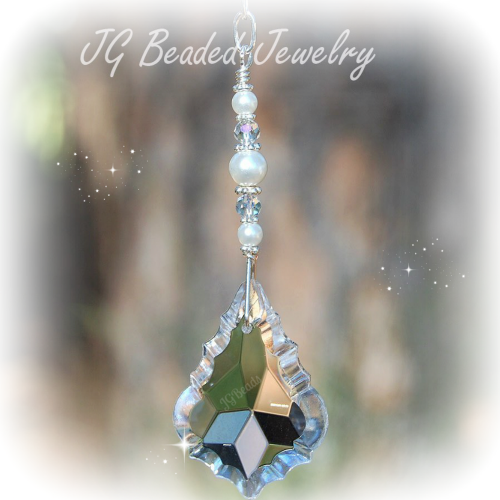 The suncatcher is wire wrapped with silver wire, adorned with a beautiful 20mm faceted prism crystal, turquoise beads, iridescent Swarovski crystals, a faceted clear crystal in the middle and fancy silver metal beads. 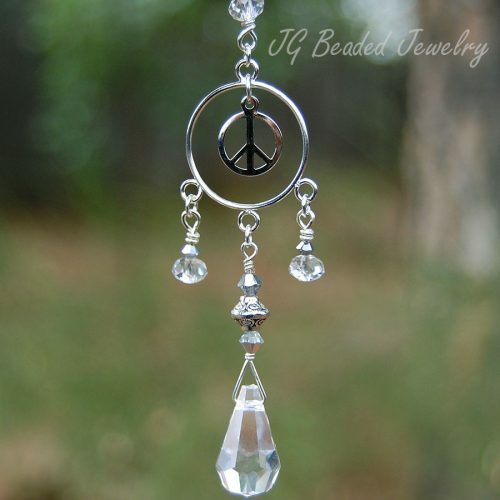 2) Home Decor – 6″ chain with ring for hanging in a sunny window at home, the office or wherever you choose! ♥ Fast shipping and tracking provided. Other gemstones may be available upon request – just send me a message! 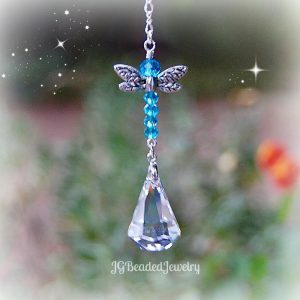 Offering many unique and handcrafted crystal suncatchers and crystal rearview car charms!